Currently Under Construction in One Of Alexandrias Most Beautiful Neighborhoods!! Located on an oversize home site in Jefferson Park. Plenty of space to create your own outdoor entertainment oasis. You will find our thoughtfully designed Charlene Model with all of todays most requested features. Including a first floor bedroom/office, Tall Ceilings throughout, Hardwood Floors, Quartz Counters, Thermador Appliances including a 48" Gas Range. You will be amazed by the Generous Closets, Two Laundry areas, Spacious Mudroom plus an abundance of Storage. Charming Stone Front and a Paver Driveway leading to your Two Car Garage! Private setting on quiet street adjoining Mansion Drive. East walk to Schools and only 2 lights to the District. Be sure to ask for a personal Under Construction Tour of model located close by. Completion Late Summer Early Fall. Act now for a voice in final selections. This landmark Jefferson Park home dates to 1920. It has been lovingly restored and expanded to create a 5 bed/3.5 bath home perched high on a flat .42 acre lot. It boasts a detached over-sized 2 car garage and small "cottage" perfect for a home office, artists studio or guest quarters. The interior of the home has a wonderful flow perfect for every day living and entertaining. Upon entering the home you are welcomed into a foyer area that leads to a sunken formal living room and separate library that shares a double sided fireplace. A formal dining room, open gourmet kitchen, informal dining room, powder room and family room with fireplace complete the main level with convenient access to the outside rear wrap around porch and side mud room nearest the detached garage. The upper level features a large master suite with custom built closets, spa like bath and separate office/sitting area. Full size laundry and a gas fireplace complete this spacious room. A second and third bedroom with a shared full bath complete the upper floor. The basement runs the foot print of the home with a fourth bedroom, full bath, media room and fifth bedroom currently used as a home gym. A utility room which features a second set of laundry and storage for added convenience. This is a rare opportunity within the City of Alexandria close to major commuting routes, metro and trendy Del Ray and historic Old Town. 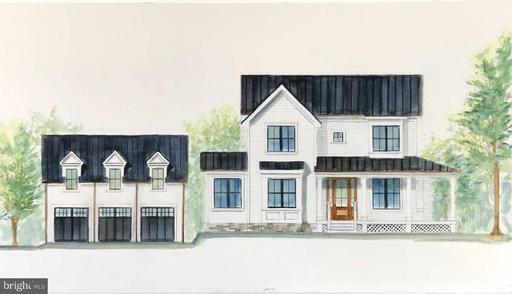 Prominently positioned on a sunny hill adjacent to a President Ford Park, this masterfully designed new construction home is the eighth and final home in the exclusive enclave of Oak Grove. With impeccable attention to detail and luxurious finishes, this well-appointed home boasts a modern floor plan with soaring ceilings, red oak floors, crown molding, coffered and tray ceilings, wainscoting, and extended height doors. Chefs will adore the large kitchen with calacatta gold quartz slab countertops and backsplash, expansive island, 48-in Wolf range with hood, twin Bosch dishwashers, two sinks, and a butlers pantry. 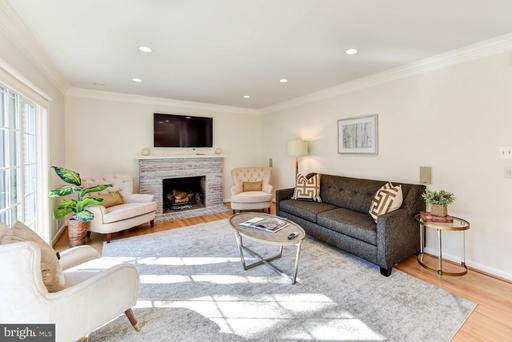 Open to the kitchen, the family room is adorned with a coffered ceiling, gas fireplace, and French doors to the flagstone terrace and fenced back yard. The living room, dining room, library, entry gallery, mudroom and 3-car garage complete the main level. Upstairs are 4 bedroom suites, including an approximately 800 square-foot master suite. The master bath is the artful embodiment of relaxation with a freestanding tub, glass shower, dual vanities, and marble floors. The lower level boasts an expansive recreation room, powder room, and options for an additional fifth bedroom suite and media room. This spectacular new home with park views is perfectly positioned on a half-acre professionally landscaped lot with a fenced backyard ideal for throwing balls and hosting barbeques. 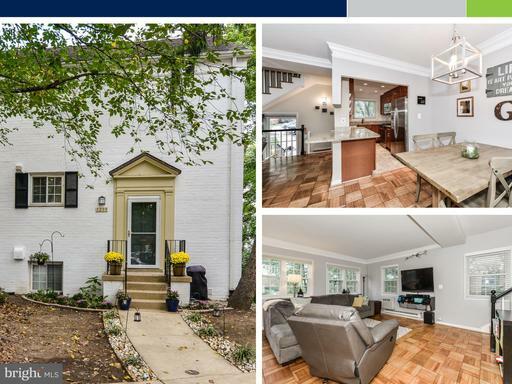 In the heart of Alexandria, this home is within 2 miles of Alexandria~s popular high schools, 5 miles of Crystal City and Reagan National Airport, and 8 miles to Washington, DC. One of Jefferson Parks most distinctive homes! This spectacular Tudor sits on a .5 acre beautifully landscaped corner lot. Come enjoy a mix of vintage charm and classic style. Spacious rooms and a private backyard with multi-level patio will make you say ~wow!~ 5 bedrooms, 3.5 bathrooms, incredible master bedroom suite and storybook tree swing out front. Home freshly painted throughout. Great price reduction! Staged and looking great! Totally redone. Like new! 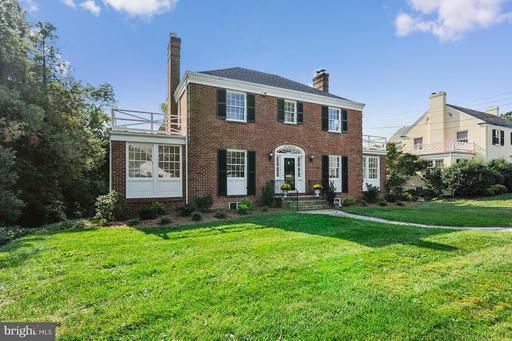 Beautiful Braddock Heights center hall colonial on large lot with mature trees and plantings. Plaster walls, tray ceiling in master bedroom. Two wood burning fireplaces. Walkout rear entrance to covered loggia. Good storage. Hard wood floors, brand new kitchen with quartz counter tops. All baths are brand new!! New roof, new a/c! Open floor plan with good flow. Nice gazebo/summer house in the back yard, fully screened, wood burning fireplace and electric! Private, quiet location. With its proper colonial fa~ade and contemporary amenities within, you~ll think you~ve walked into a TV dream property. In reality, you~re home! Sited on an immaculately landscaped lot, this three-level brick home is as sophisticated as it is comfortable. Gleaming hardwood floors, tastefully neutral paint colors, dentil molding and architectural pillars anchor the aesthetic of the foyer, office and formal sitting room. The dining room~s Renaissance-inspired stenciling adds Old World gravitas that sets the tone of the double-height living room. Soaring ceilings, elongated windows, fireplace and wrought-iron staircase make this room ideal for entertaining or cozying up with family. Enjoy views of the stunning backyard from the living room, and access your spacious wooden deck from the eat-in gourmet kitchen. A two-level deck is perfectly compartmentalized for lounging by your chimenea and dining under a pergola. Inside the kitchen, you~ll enjoy prepping dinner with every top-line appliance within reach. A five-burner range, double oven and warming drawer allow you to cook meals for a large crowd; a properly equipped butler~s pantry between the dining room and kitchen simplify the orchestration of formal meals. Your double staircase is accessible from the foyer and living room. A bright balcony wraps the length of your elegant living room, and the rooms opposite comprise two bedrooms, a bathroom, an additional bedroom with en suite bath, and your retreat of a master suite. Behind double doors, the master bedroom boasts a vaulted ceiling, plantation shutters, and a gleaming tiled bathroom with his and her closets within. A glass-enclosed shower and Whirlpool tub are flanked by his and her vanities -- hers with extra counter space and seating area. A separate water closet provides additional privacy. Even more luxury awaits in the finished basement. Here, an open floor plan provides a cozy seating area and casual dining space adjacent to a kitchenette. You~ll love easy access to a fridge and cabinet space when pulling snacks for a movie screening in your theater room, where plush red carpeting sets the mood and cushy loungers seat six. Glass French doors open into a home gym with room for your cardio and weight machines, as well as storage for countless fitness props. Use the full bathroom and large private bedroom for long-term guest housing, or even for your live-in au pair. You~ll never want for space or entertainment in this immaculately constructed home! Within your exclusive neighborhood, enjoy common green space ideal for playing and socializing. 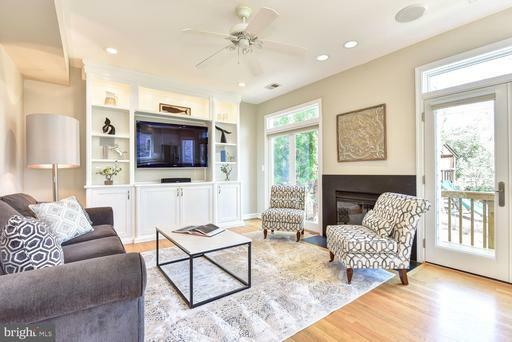 Washington, Old Town and Del Ray are within a few miles~ drive, and you~ll also appreciate access to Reagan National Airport, Route 1 and other thoroughfares into and out of the metro area. WELCOME HOME!! Rare opportunity to purchase in the highly sought-after private community of Kings Cloister! Built in 2001, yet received full renovation makeover modern uplift in 2013!! Grand entry foyer, cascading HW floors, amazing natural lighting throughout, spa like master en-suite w/heated floors, full In-law suite w/adjoining family rm, and fully fenced in yard! Chic chandelier lighting and remarkable crown molding details throughout! Master bdrm boasts custom California closets, tray ceilings, and a newly renovated bathroom that will take your breath away! Exterior: One of the largest lots on the circle at 0.22 acres! Exquisitely landscaped, w/mature trees outlining the backyard, adds privacy serenity from the busy world around you! Ample space for grilling, gardening, entertaining! Great community greenspace encompasses the core of the neighborhood and is yet another extension of your wonderful options for outdoor space! Walk to the King St Metro and Old Town Alexandria, less than 5 miles to Reagan Airport and the soon to be Amazon HQ in Crystal City, and only 7 miles to Washington, DC! Too many impeccable features and upgrades to note, you will just have to schedule a showing today to see for yourself why this home was meant for you! Rare find, mostly NEW CONSTRUCTION top to bottom, minutes to old town. BRAND NEW SECOND STORY ADDITION! Upscale contemporary boasting 5 beds 4 extravagant baths. Approx. 3000 sf of modern lavish luxury, cathedral ceilings, state of the art floating stairs w/SS cable hand rails, modern tiled fireplace, gourmet chefs granite kitchen, opulent chandeliers, stylish flooring, 2nd floor laundry room, dual zone HVAC, all new PEM, garage entry to basement, beautiful fenced yard, large deck for entertaining, elevated patio w/ fire pit, custom skylights windows, quite cul de sac overlooking woods. New driveway installed when weather permits. ALL NEW SYSTEMS! RENOVATION SENSATION. No attention to detail was spared in this designer inspired addition and rehab of solid 1950 brick home. Everything is proportional in its execution allowing a seamless flow so often missing in expansions of the typical DC mid century single family. Gorgeous molding and trimwork accent this home throughout and gleaming hardwoods are found in every room. Elegant formal living and dining spaces adjoin fantastic family friendly entertaining areas as well. Private first floor den. Living space is extended outside through French doors at both the den and family room by extensive decking and flagstone patios. TRUE Chefs Kitchen! Main level laundry. Ample sized master and auxiliary bedrooms as well as second level balcony large enough for furniture or hammock... truly usable space... overlooking back yard. Wonderful lower level with space for au pair or guest quarters. Grounds are immaculate and feature specimen plantings and trees. 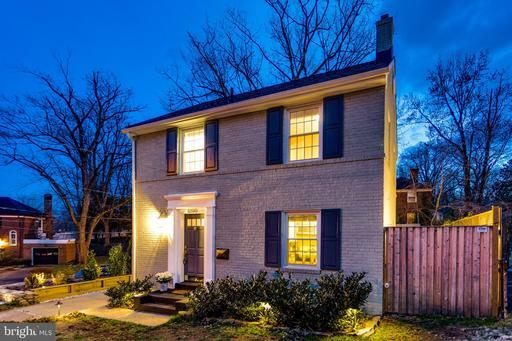 Parklike setting in the heart of Alexandria in an oversized lot in Jefferson Park. A MUST SEE PROPERTY. Elegant and classic home with hardwood floors throughout the main and upper floors, crown molding, high ceilings and generous room sizes. Stunning expanded kitchen opens to family room with fireplace. Creative, beautifully executed remodeling shows the quality not usually seen. Customized back yard stone work, including gas grill, pond, stream and fountains and waterfall. Much, much more. 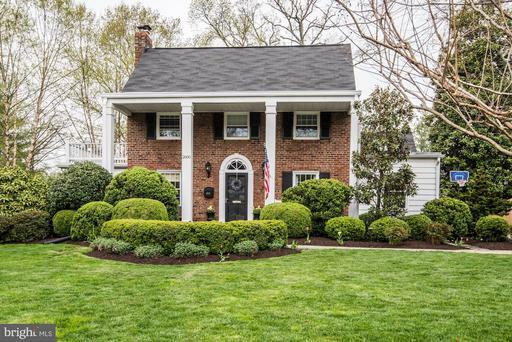 CALMING CLASSIC - 1513 Crestwood Drive might have been built in 1954, but it brilliantly fuses that bygone era charm with the sophisticated allure we all love today. 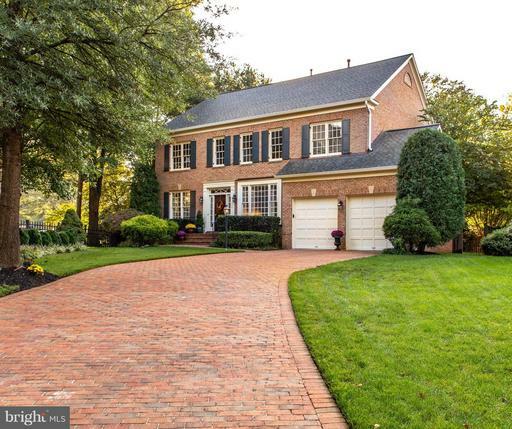 Spacious and bright rooms light the way as you tour this immaculate expanded Colonial. Immediate attention is drawn to the warm and relaxed feel of the neutral wall colors and gleaming hardwood floors found throughout. Classic details like arched doorways, crisps crown molding and chair rail accents finish most rooms. From the foyer entrance you can access the homes living and dining rooms. The formal living room feels relaxing with its cozy wood burning fireplace with elegant mantel surround, and the gracious dining room can easily cater large gatherings. Stepping down a few stairs reveals the family room; a fresh and free-flowing room with an open layout. Custom built-in shelves and cabinets provide a practical, compact space for storage and showcase collections/books while the gas fireplace makes the setting more intimate. The kitchen renovated in Oct. 2017, which is open to the family room, presents a crisp clean look with white subway tile backsplash, marble countertops, sleek cabinets and stainless appliances. A beautiful bay window wraps the breakfast nook in an abundance of light that will make a morning cup of coffee or tea more enjoyable.The top floor features three comfortable bedrooms designed for all day sleep-ins. The roomy master fully renovated in 2015 has all the trappings of a five-star hotel with tall ceilings, a wood burning fireplace, walk-in closet with Elfa inserts, and an ensuite bath that boasts ample storage, a dual sink vanity, glass enclosed walk-in shower and separate claw foot soaking tub. A shared hallway bath for the two other bedrooms on the upper level is updated and also offers coveted storage space. Moving to the finished lower level, the perfect spot for relaxing, is a generously-sized multi-purpose room thats been designed to be used any way your lifestyle dictates. A deck, accessed through French doors from the family room, creates an inviting transition between the indoors and out and extends the homes living space for alfresco dining in the warmer months. 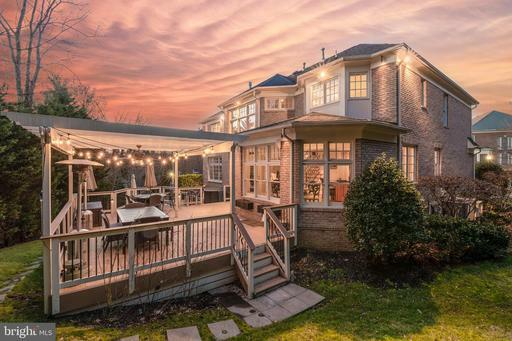 Entertain under the stars on the spacious flagstone patio and overlook the fenced rear of the yard with professional landscaping, gardens and play area, if desired. Off street parking and close to public transportation, local schools, shops, dining and endless leisure/hobby activities and options, this is the ideal place you~ll want to call home. 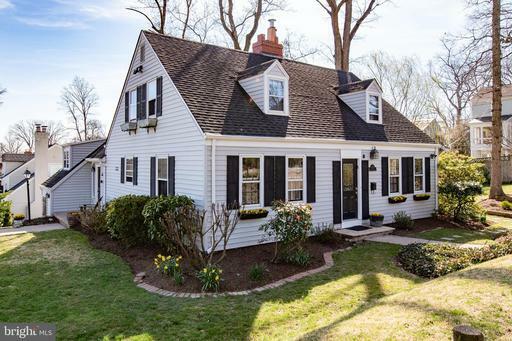 FULL OF SURPRISES - From the outside youd never guess what awaits you within this charming Cape Cod style home. 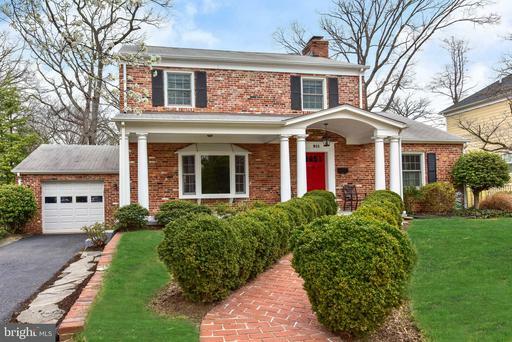 Comfortably located in the desirable Braddock Heights neighborhood this solidly-constructed residence, built in 1960, embraces its mid century roots that have seamlessly merged over the years with the stylish magnetism we all love today. With a classic brick facade, entering through the front door the main level spaces are connected by gleaming hardwood floors, crown molding and the neutral freshly painted walls. A brilliantly updated eat-in kitchen boasts custom banquette seating, ample cabinet storage, recessed lighting, granite counters and stainless appliances. Flow from the kitchen into the separate dining room that features chair rail accent and Grecian inspired columns all open to a spacious and bright living room with wood burning fireplace with mantel and brick hearth. Enhancing this already sunny room are sliding glass doors that lead to the backyard making entertaining inside and out easy. Finishing out this level, and a serious bonus, is the convenience of a large master bedroom and updated full bath with walk-in shower and bench. If one level living is an option you seek, then look no further! Located upstairs are three graciously sized bedrooms with hardwood floors, calming paint colors and a shared full hallway bathroom. Moving to the lower level, with a lush cream palette throughout, pour your favorite "poison" from the wet bar and then kickback and watch the latest on demand from the comfort of the family room. An alcove of built-in shelves can showcase a large collection of DVDs, books or lovable tchotchkes. The homes fifth and final bedroom, with a full bath completes this floor, and is a great space for guests/in-laws/au-pair to rest. To close out the appeal of this lovely residence, is the unexpected outdoor retreat. Accessed from the living room, casual or formal entertaining will spill effortlessly out onto the patio area where tiered levels and stairs reveal professional landscaping and at the very top an actual sports court with basketball hoop and storage shed. Located so close to Old Town and Shirlington, where endless dining out, shopping and social engagement options await, moving into 2601 Valley Drive will be the easiest decision you make all year! 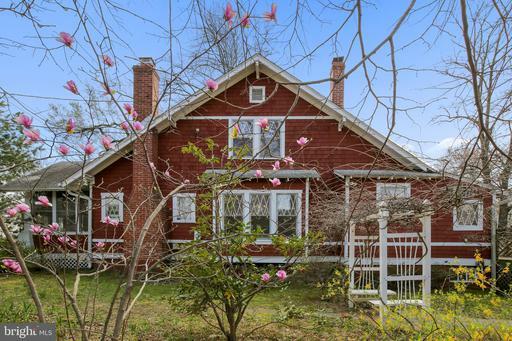 The Craddock House, a 1922 Sears Arts-and-Craft home with historic charm and modern updates. This architectural gem is on the market for the first time in 50 years. Hardwood floors throughout; unique diamond-shaped windows; built-in bookshelf in living room; huge formal dinning room; 3 bedrooms including a generous master; 2 full baths; updated furnace; stainless-steel appliances and granite counter tops in kitchen; cedar shingles on exterior; over a third acre of land with a wide variety of flowering shrubs and mature trees, including a holly tree, a cutting from George Washingtons Mount Vernon plantation. 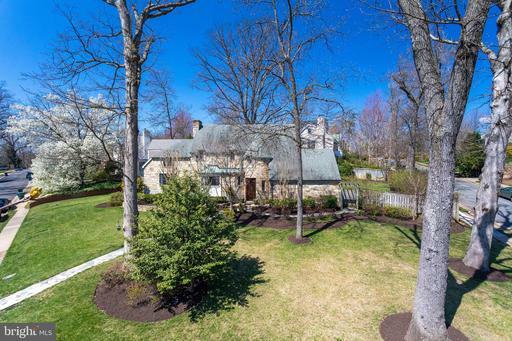 Grounds include a carriage house/two-car garage. Stop by and step into history. 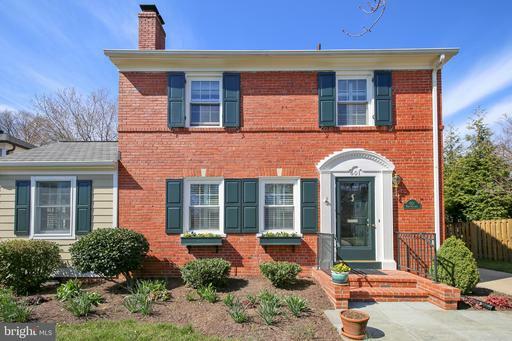 Welcome home to this stunning and renovated beautifully painted brick colonial! 2018 kitchen remodel opens up to sunny vaulted ceiling family room. Exterior painted and front door replaced. New light fixtures throughout. Living room with woodstove insert makes fall nights cozy. Fully finished basement in 2014. 1 car garage + storage. Walk up attic stairs to full floored attic perfect for storage or potential addition later!. Open Saturday 4/20 from 2-4. Showings may begin on 4/18 not before. Offers, if any, will be reviewed Tuesday 4/23 at 10 am. A full list of improvements and ideal settlement timeline is in the docs section. --Investor Special-- A blank canvas awaits the patient and imaginative artist. 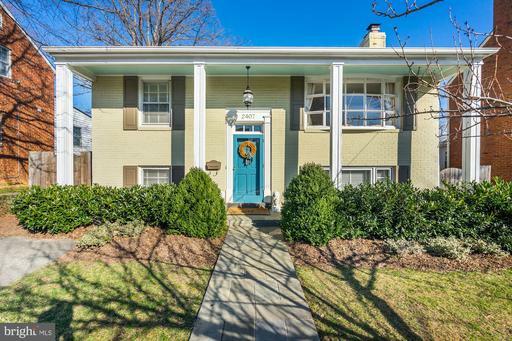 Close to TC Williams and Duke St, enjoy a convenient location and quiet living on a cul-de-sac. The large lot allows for great parties or large play areas This 3BR 1BA house is easily expandable by finishing out the basement. Qualifies for PenFed Mortgage Closing Cost Credit for qualified buyers. 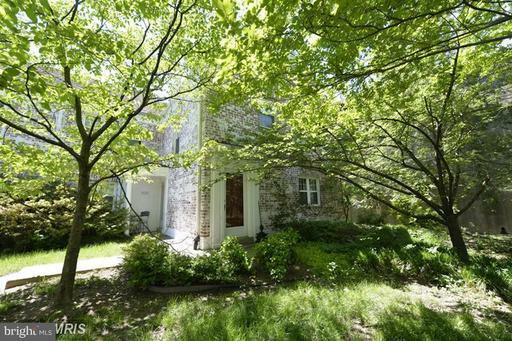 Rarely Available 3BR and 2 FULL BATH Parkfairfax Condo. En Suite MBR with Double Vanity and Oversized Shower. His and Hers Walk In Closets Add a nice touch to the MBR. Open Floor Plan on Main Level. Upgraded Kitchen with Granite Counters and Island, Stainless Appliances, an abundance of Cabinet Space AND Heated Floors. Living Room has lots of windows for plenty of sunshine, AND an Electric Fireplace. Upstairs Bath was Recently Rehabbed. Nice Size Attic with ample storage space. Recently and Professionally Landscaped Back Patio Area with nice Views and Privacy, PLUS an invisible fence for you pet owners. There are 3 Community Pools, one directly across the street, volleyball, basketball, and tennis courts, along with tot lots, and picnic areas. The DASH and Metro Bus Stop is less than a 1 minute walk and from there a quick ride to Pentagon Metro or Old Town. Walk to Shirlington Villages shops, restaurants, and movie theatres, plus Signature Regional Theatre and Harris Teeter in less than 10 minutes. Parkfairfax has a Neighborhood Watch Program, a strong Board of Directors and has not had a condo dues increase in the past 3 years. Theres not been a special assessment since the creation of the Association in 1978. The monthly dues cover all expenses EXCEPT landline, electricity, and cable. 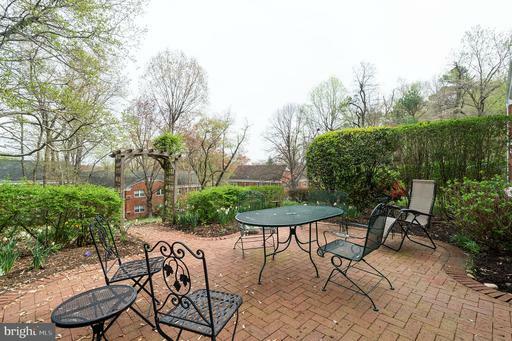 This community is a lovely oasis with very special features and is located only about 15 minutes from downtown DC. If youre looking for an amazing, and rare condo in a unique community in an excellent location.... This is your chance. PLEASE SUBMIT ALL OFFERS BY TUESDAY, 4/9/2019, 6PM EDT. 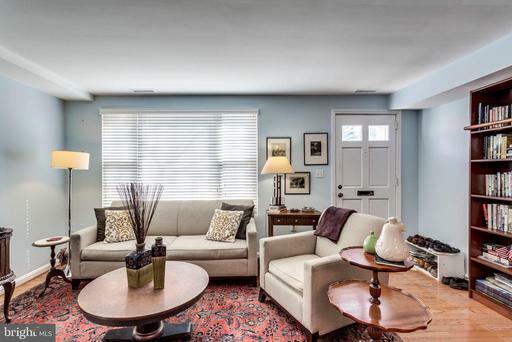 Stunning renovated townhouse! Designers choice features such as: beautiful kitchen cabinetry with exquisite color combination, soft close doors and drawers, quartz counter top, stainless steel appliances, bathrooms with modern vanities, tile, and plumbing fixtures, and shower with frameless glass enclosure. Spacious two-bedroom layout on second level. Hardwood floors throughout main and second level, plus custom stained solid wood stairs. Patio/deck with direct access to green common ground area. 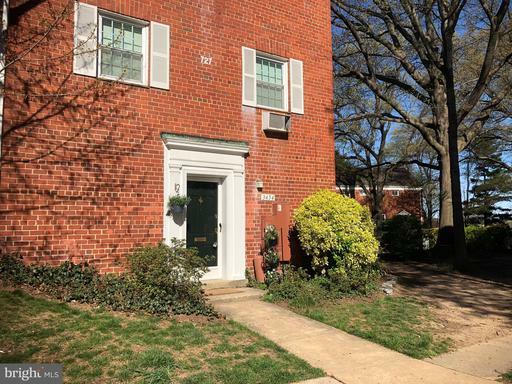 Located in Fairlington Towne, a very desirable location, approximately: 6 min drive to Shirlington, 10 min to Crystal City and Reagan National Airport, 15 min to DC. Shopping Center around the corner with grocery store and so much more! 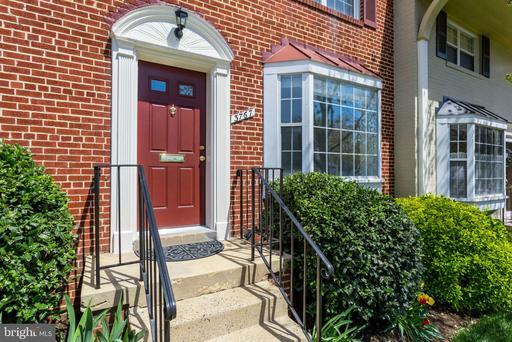 Gorgeous move in ready 2 level Townhouse condo located in Alexandria City. 2 Master Suites, 2 outdoor areas, updated kitchen with stainless appliances, granite countertops, gas fireplace, new flooring and much more. Open Sunday, 2/3/19, 12-2pm. Beautifully renovated townhouse in a great location! 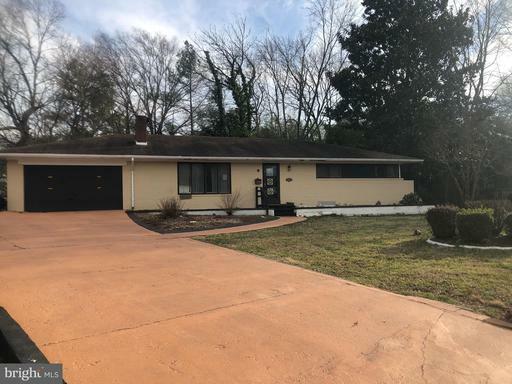 Brick town home with many updates to include renovated kitchen, updated baths, fresh paint, newer carpet, replacement windows, updated HVAC and water heater. New roof scheduled for 2019. Fenced in deck is great for spring BBQs! 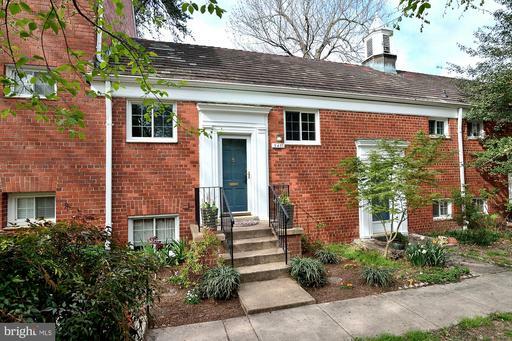 Ideal location just minutes from Shirlington Old Town. Easy commute to Pentagon or DC. Owner is licensed real estate agent. Enjoy watching the 4th of July fireworks from your balcony! *Rarely offered penthouse level unit top two floors of building are penthouse level provides 9 ceilings and upgraded hallways*Enjoy the wide-open horizon and sky vistas with breathtaking views of the Washington Monument the Capitol Dome*Popular split/dual master bedroom layout with en-suite baths provides the ultimate in privacy and use flexibility *Granite and stainless gourmet kitchen *Popular open configuration floorplan* High-end owners bath remodel feels like a luxury hotel spa bath-slipper soaking tub, shower with seamless glass door and rain showerhead, and Cherry vanity with marble countertop! *Tastefully updated guest/2nd bath*Cheerful exposure with walls of windows and light *Spacious private balcony with plenty of table space*Washer Dryer in unit*Copious closets*2 garage parking spaces*Pet friendly building*Agents may want to sign out the key from the Front desk to tour the amazing building amenities....Fabulous exercise room with sauna in locker room, relaxing community pool, lawns, picnic area, business center, community room, management, and the current on-trend common area building remodel *Super locale bordering Arlington Falls Church*Close to many restaurants, shopping, Weekday express Metrobus service to Pentagon Metro, DASH bus service to King Street Metro and easy access to major transportation routes for convenient commuting. Seller requests any offers be submitted by Tuesday 4/16 at 11 am. Enjoy the peaceful serenity of your own private Japanese style garden patio in this zen 2-bedroom end-unit Washington model. Stacked washer/dryer upstairs in its own linen closet. Kitchen overlooking lush green space. 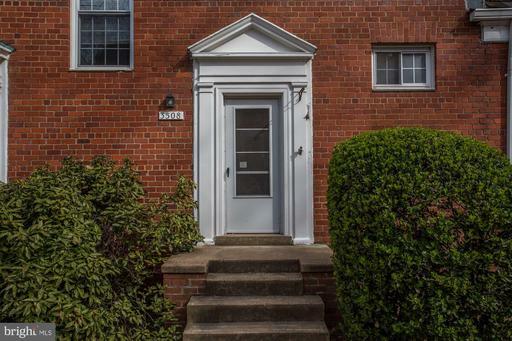 Easy access to Shirlington and non-stop bus service to The Pentagon make this the perfect choice for your next home. Contracts by 3pm, April 23. Parkfairfax Beauty. 2BR, 2 Level END Unit in Off Main Street Location. Panoramic Views, Bright and Sunny home. End Unit gives a feel of more openness and space. Upgraded Kitchen and Bath. Crown Molding, Window Frameouts, Shining Hardwoods, and Custom Plantation Shutters. A 1 Minute Walk to the DASH and Metro Bus Stop and then a Quick Ride to the Pentagon Metro or Old Town. A 10 Minute Walk to the Shops, Restaurants, And More in Shirlington Village. Parkfairfax has a Neighborhood Watch Program and a strong, active Board. Never a special assessment and no increase in condo dues in the past 3 years. Lots of open space, beautiful gardens, Tot Lots, Picnic Areas, Exercise Room, Basketball, Tennis, Volleyball Courts, and 3 Pools. If youre looking for a Very Special Move in Ready Home, in an Amazing Community, in an Excellent Location this is it. Beautifully updated Madison model end unit. Renovated kitchen features upgraded cabinetry, stainless steel appliances and expanded granite counters. Master bedroom features an expanded closet for additional storage. Options for commuters abound with convenient quick access to 395 and the Shirlington Bus Station with non-stop routes to the Pentagon. In addition, Shirlington Village - with its 20+ restaurants, shops and theaters - is less than 1 mile from the front door. 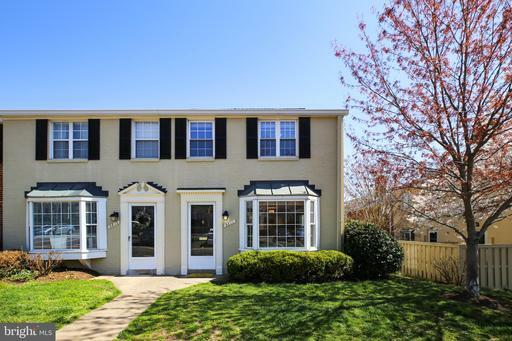 Popular two-level, Washington model townhome with PATIO nestled in the best location in ParkFairfax! Spacious kitchen with granite counters, sparkling subway tile backsplash, gas range and pantry. Light and bright living room and dining area with access to paver patio. Warm parquet floors throughout! Upper level features two large bedrooms, full bath with tub/shower, and convenient attic access for additional storage. AMPLE parking in parking lot just steps away! Condo dues include ALL ParkFairfax amenities >> 3 swimming pools, an exercise facility, tot lots, tennis courts, car wash, maintenance yard, and woodland trails. Close-by Shirlington is an entertainment hub with restaurants, AMC theater and library! Commuter options galore with DASH bus stops to Pentagon and easy access to 395 and DC. Immaculately renovated ground level, 2 bedroom one bath end unit with lots of charm and character located in the sought after Parkfairfax community. 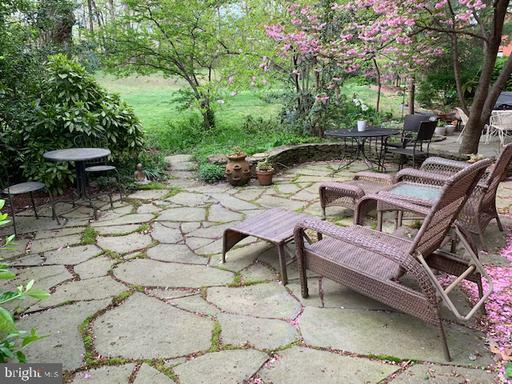 Very large semi-private flagstone patio. Freshly painted and new hardwood floors throughout. New kitchen with quartz countertops, including an island bar, stainless steel appliances and custom ~soft close~ cabinets. This new open floor plan features lots of natural light. There is also plenty of storage space with seven closets. Washer and dryer in unit. Off-street parking. In a great location with a lot of ammenities such as 3 swimming pools, tennis courts, gym, playgrounds and forested green space throughout the community. 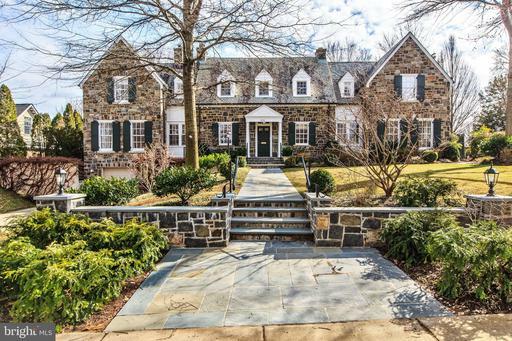 Close to 395 which gives you an easy commute to the Pentagon, D.C. and other prime locations. **Open Houses are Saturday April 13th and Sunday April 14th from 1-4pm**. Accepting offers until Tuesday at 2pm. 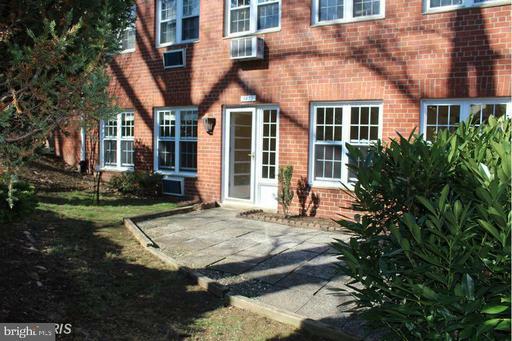 Fantastic, newly remodeled two bedroom unit at ParkFairfax! New stainless steel appliances, granite counters, kitchen tile floor, refinished hardwoods and freshly painted. 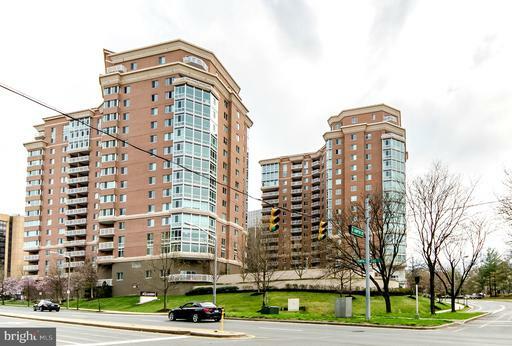 Sun filled two level unit is close to all that Shirlington has to offer; dining, shopping, theater, more. Just steps to convenient bus routes! Convenient, Charming, Stunning! 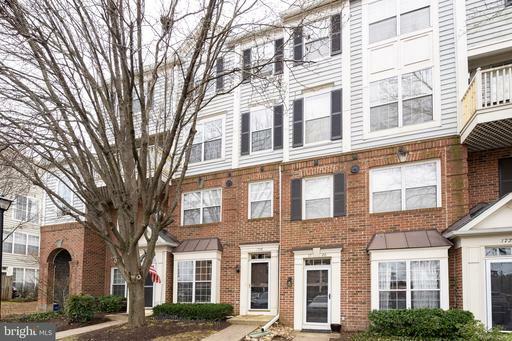 This is the Parkfairfax condo you have been waiting for! 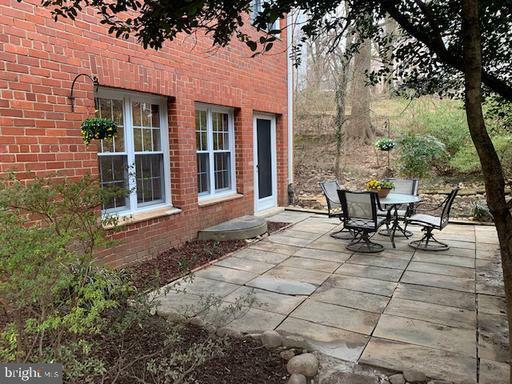 Gorgeous two-bedroom, two-level Madison model combines the comfort and convenience of a total, modern renovation with the classic charm and character of historic Parkfairfax! New windows let in plenty of natural light. Gourmet kitchen features stainless appliances including a gas stove!, granite counters, natural wood cabinets, and a coffee bar! Bedrooms are spacious, light and bright, and have ample closet space and built in clothes storage. Warm wood floors, restored doors and hardware, luxurious bathroom, and more let you relax in your urban oasis or entertain instyle. Updated electrical and plumbing, heating / cooling units, more! Easy commute to DC, Pentagon, Mark Center, etc. Stroll or bike to Shirlington, dog parks, trails, shopping,etc... everywhere you want to be! Parkfairfax amenities include swimming pools, tennis courts, volleyball, a gym, etc. Do not let this amazing home get away! 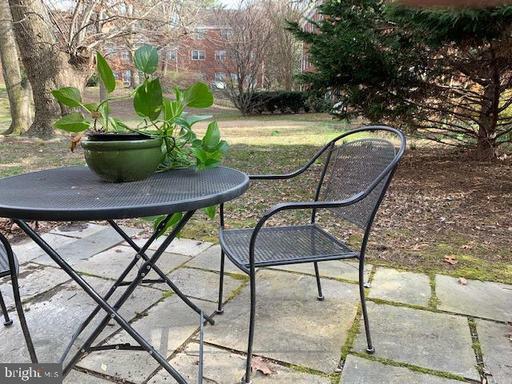 Private patio, 2 bedroom, 1 level home off quiet path near pedestrian bridge to Shirlington, non-stop public transportation to Pentagon. So near 2 of Parkfairfaxs 3 pools. Hardwood floors gleam, freshly painted. Beautiful views through the cleanest windows, ever. 8 closets + storage unit nearby. Offer deadline - Monday April 8th 5pm! LOCATION! Top floor, corner unit, vaulted ceilings, 2 bed/2bath, 2 garage parking spaces. This updated unit includes hardwood floors, granite counter tops, full size washer/dryer in unit, fireplace, balcony and extra storage. 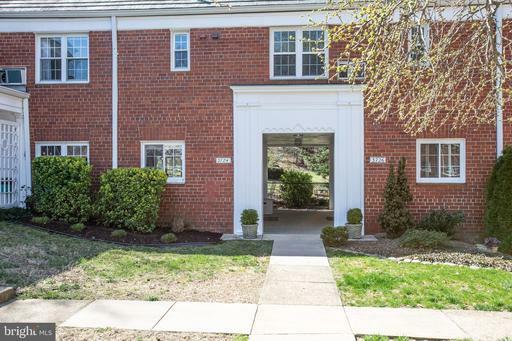 Gated community with secured buildings, in a fantastic commuter location; with one light to I-395 or daily community shuttle to Pentagon City Metro! Community features, gym, pool, sauna, car washing station in a very pet-friendly community more! 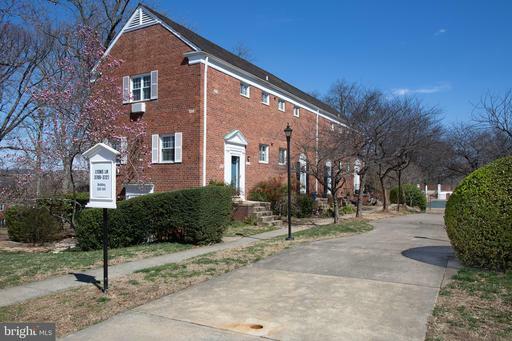 Come home to this stunning move-in ready one-bedroom TOP FLOOR condominium in HISTORIC Parkfairfax. This warm and cozy rarely-available JEFFERSON model END UNIT is situated in a quiet courtyard overlooking trees and a park-like setting. 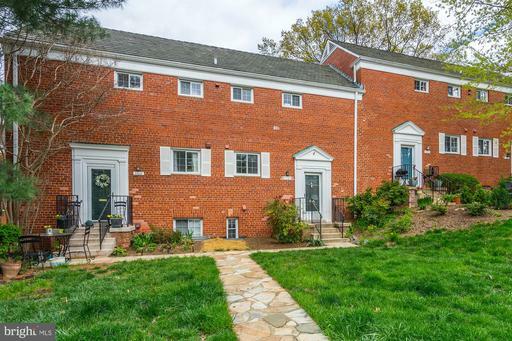 Located steps from the pedestrian footbridge, walk to shops and dining in Shirlington Village. 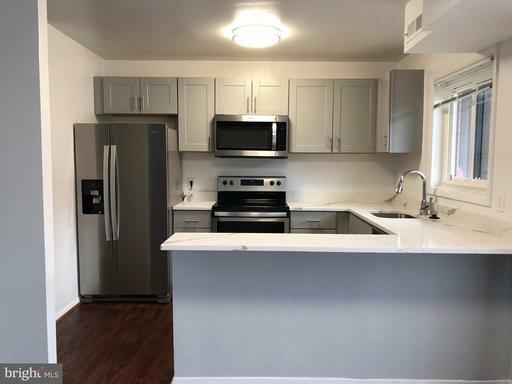 **** ABOUT THE INTERIOR: This dazzling renovated airy unit has an UPDATED KITCHEN with stainless steel appliances, gas range with hood, granite countertops and modern cabinetry. 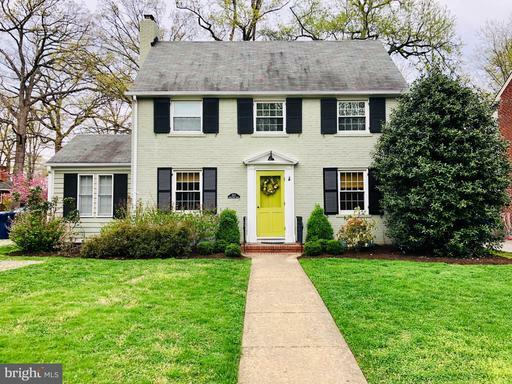 Gorgeous original parquet floors and crown molding are complimented by neutral NEW CARPET and the entire home has been FRESHLY PAINTED THROUGHOUT. The in-unit stacked washer/dryer was purchased in 2017. Two wall-mounted combination heating/cooling systems were added in 2018 and complement the bedroom baseboard heater, dining room heater, and wall-mounted space heaters in the bathroom and foyer. The dining room ceiling fan was installed in 2016 to supplement another in the bedroom. The double-paned, easy open windows and entry storm door round out the many home features designed to maximize your comfort. Space is never an issue in this home with two large closets plus a coat closet, and an unfinished private attic to provide for ample additional storage. **** ABOUT THE EXTERIOR: The courtyard leading to the home is beautiful, inviting and away from the street. The frontage has generous space available to create your own landscaped garden consistent with community rules. A private parking lot is available in front of the home as well as plentiful public street parking. 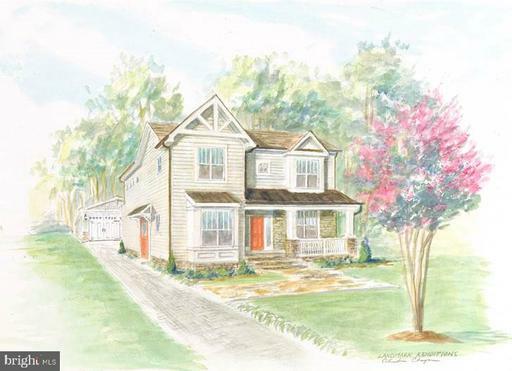 **** ABOUT THE COMMUNITY: You will love Parkfairfax! This 132-acre Historic District of Colonial Revival-style brick buildings was constructed between 1941 and 1943 to provide quality housing for government employees and military. Also significant as the home of former American presidents, Richard Nixon and Gerald Ford, Parkfairfax remains a well-preserved garden-style complex of the World War II era that offers an amenity-rich, pedestrian-friendly community with pools, tennis courts, exercise room, trails and more. 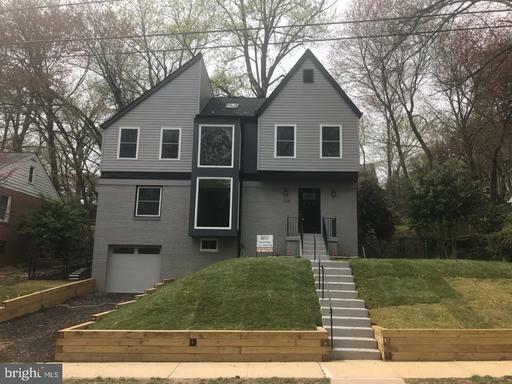 So commuter-friendly too with easy access to I-395 and minutes from the Pentagon, Crystal City, Rosslyn and D.C. **** IMPORTANT INFORMATION: Open house on Saturday, April 6 Sunday, April 7. Refer to documents for addition information when making offers. Offers due on Monday, April 8 at noon. 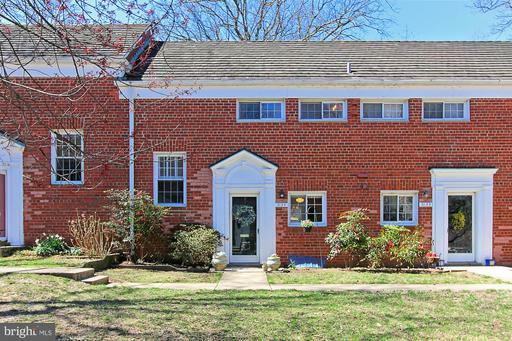 Charming Condo in beautiful neighborhood of Parkfairfax is a must see. 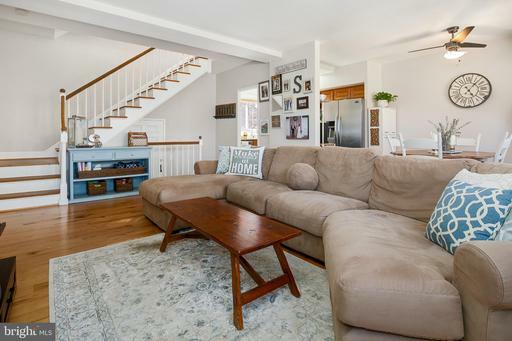 Head into this rustic condo to find beautiful hardwood stairs leading to an open living area. Updated appliances in this kitchen make cooking meals an ease. This cozy dining and kitchen space creates a genuine scene for romantic dinners. Windows within the bedroom make a fresh, bright and airy space perfect for relaxation. A commuter~s paradise! Along bus lines to Pentagon City, Crystal City, and Potomac Yard. 15 Minutes to DC. Take a night out in Shirlington to dine or to Bradlee shopping center for shops and groceries. Here you~ll have everything you~ll need! OPEN HOUSE CANCELED-CONTRACT. 1BR/1BA private Garfield home with 780 sq ft of living space. Completely renovated from top to bottom. Nothing left to do but to move in! Home features all NEW double pane, thermal windows throughout. NEW electric panel! Freshly painted in neutral colors, recessed lighting. Sleek, modern kitchen w/ SS appliances, NEW fridge/freezer, maple cabinets, gas cooking. Gleaming hardwoods, custom bedroom closets + shelving with room to anchor a flat screen TV. NEW heating/cooling wall unit in living area. Designer bathroom with custom tile work! Attic space for storage + combo w/d unit in home. Walk to Shirlington. DASH bus to Pentagon City Metro. Community pools, tennis and walking paths. Easy commute to DC, Arlington, and Old Town. Will make great photos for your Holiday cards. One bedroom with private patio. Hardwoods throughout! Beautiful plantation shutters allow light to flood the space from the south. Steps to non-stop bus to Pentagon. 10 minute stroll to Shirlingtons shopes, theatres, restaurants, shops, bank, post office and library. Contracts, if any by Tuesday March 26, 3pm. Sunny, private, inlet parking, PATIO. Hardwood floors, designer wooden touches, washer/dryer, dishwasher. Enjoy sunning yourself and entertaining on this private patio. One of the finest Patio Garfields in Parkfairfax. High-end kitchen renovation with many thoughtful touches abundant storage. Just refinished gleaming parquet floors and the designer paint job will impress. Fine custom book shelves a pre wired speaker system. The bath is renovated. The lovely brick patio is a charming oasis to relax or entertain and features many low-maintenance perennials. 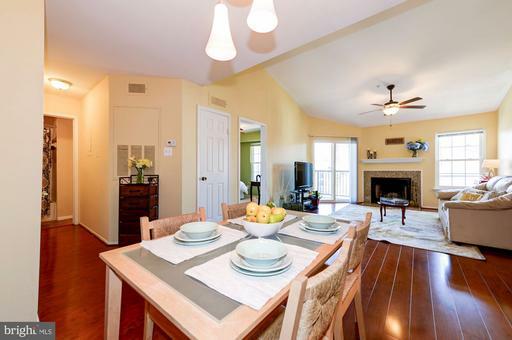 10 minute walk to the Villages at Shirlington, one stop sign to I-395. Community amenities include: three pools, volleyball and tennis courts, woodland trails, and exercise facility. **Offers, if any are due on Tuesday at 2:00pm. 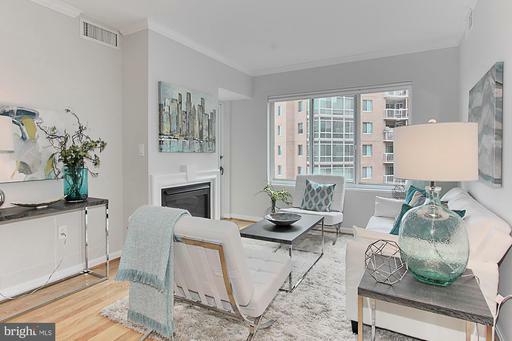 Great opportunity, Gorgeous 786 SqFt 1BR/1FB Luxury Condo at Northampton Place. Washer and dryer in the unit. Gas, water, trash, 24/7 concierge,24/7 gym, guest parking, and billiard/TV room, included in condo fee. One reserved parking in the underground garage, next to the elevator. 7 miles from DC, 5 miles from old Town Alexandria. Tons of stores and restaurants in the area. Bus stops are right outside! Close to Shirlington and Crystal City New Amazon HQ2. Great place to live! Pet Friendly Building. New A/C installed in 2017. Listing Broker: Cuzzi Realty, Inc.